Rapha is an international sports and lifestyle brand focused on road cycle racing, clothing, and accessories. Having successfully worked on their first ‘GT’ performance footwear packaging we were delighted to be asked again to prototype and develop packaging for their new ‘climber’s’ shoe. Based on the original, this new piece of footwear offers a lighter more streamlined alternative by utilising cutting-edge materials and processes. 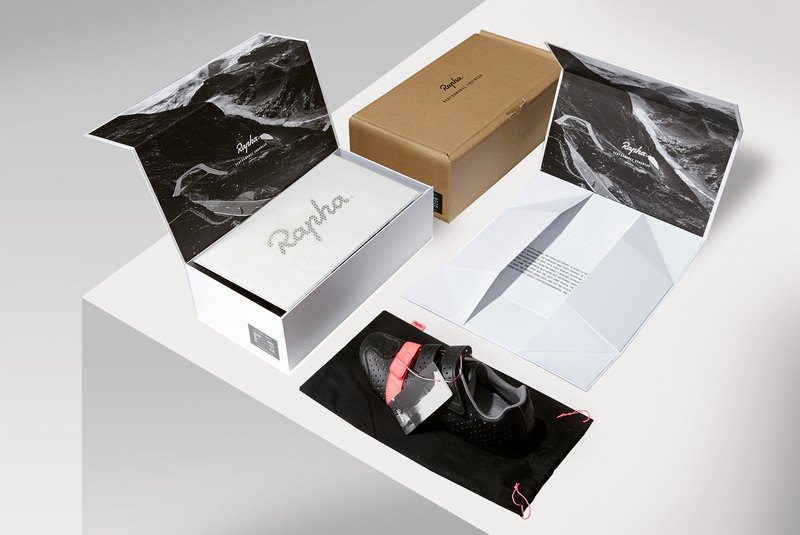 When developing production specifications for the boxes with Rapha’s in-house design team, we looked to echo the same features throughout the manufacturing and materials of the new packaging. The boxes are down-sized from the original format and made using a lighter weight paper stock. The internal design of the collapsible rigid box is duotone printed, and the outer, matt laminated over a pristine white stock to match the sleek finish of the shoe itself. 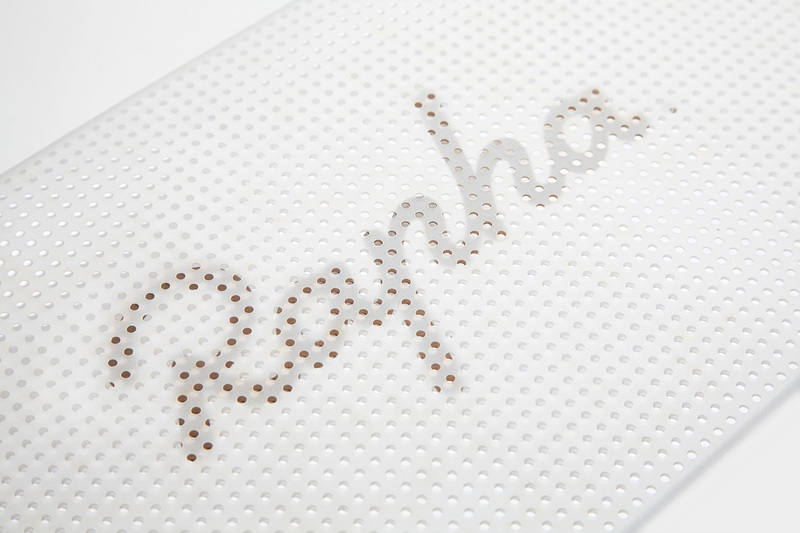 The Rapha logo on the lid is produced using a gunmetal silver raised foil-block. 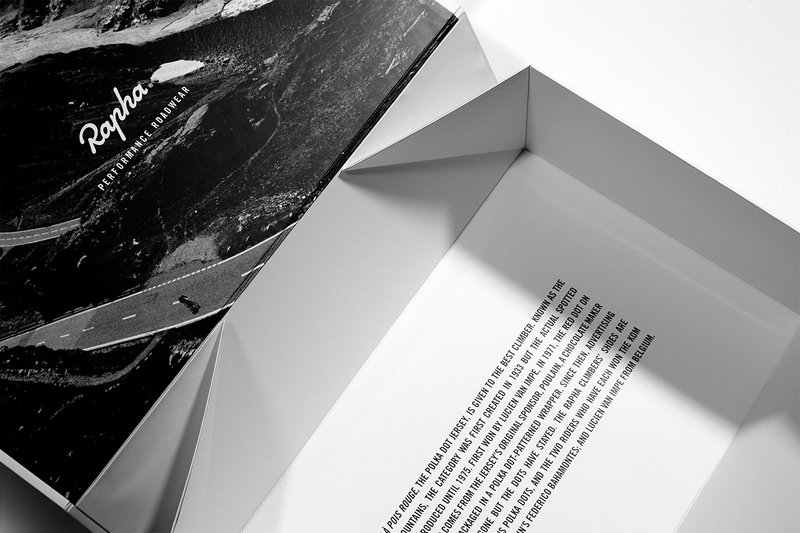 A key feature of the new shoe is the larger breathing holes in the body and this is represented in the packaging with a laser cut vellum-effect sleeve containing a foil-block printed introduction sheet. A custom made single colour litho printed B-flute mailing carton was also created to complete this packaging set. 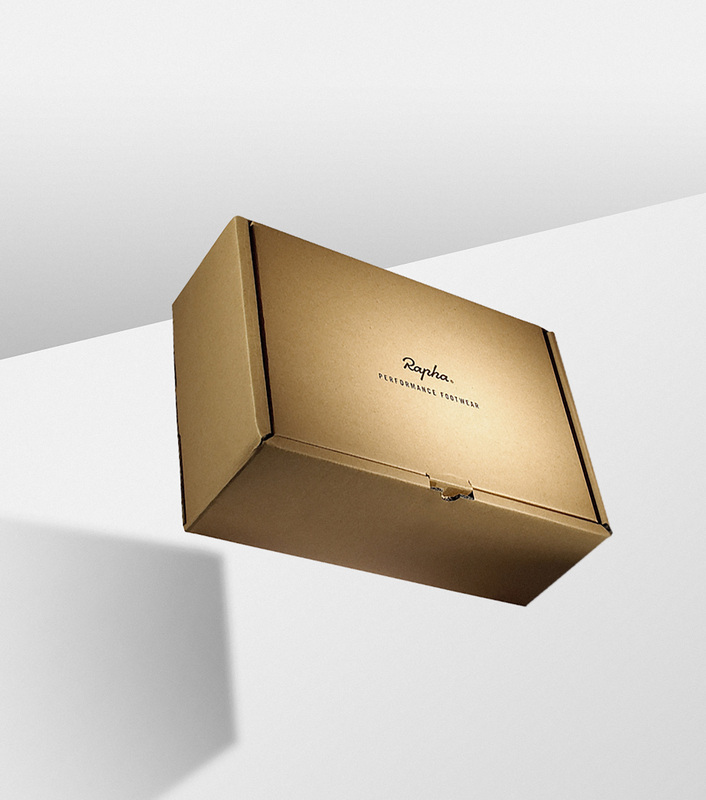 Read more about our partnership with Rapha in the editorial feature Performance of Packaging.